Now Available, OEM quality replacement optics for your laser system. Keep your lasers running at maximum performance with our laser optics. All optics are made in the U.S.A. using the latest equipment to meet the most demanding standards. These optics feature very low absorption factor and scratch resistant coatings for high performance and durability. 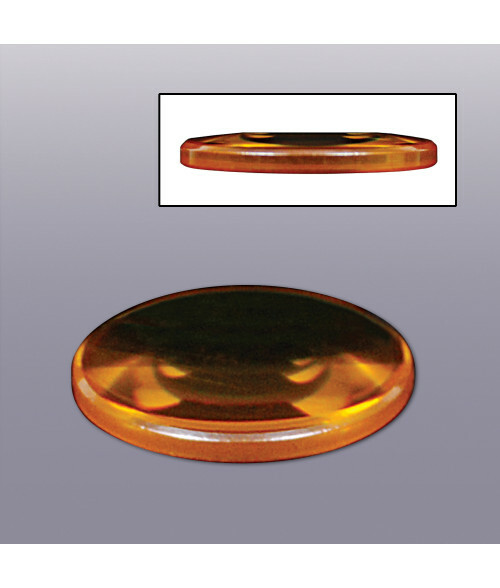 The standard diameter of the lens fits many name brand laser systems without any modification. Be sure to measure the diameter of your existing lens and confirm the focal length prior to ordering. If the lens is .75 inch in diameter, the LaserBits replacement lens will fit perfectly. Optics lenses will require using special Laser Optics Mounting Glue to secure them to the lens mount.